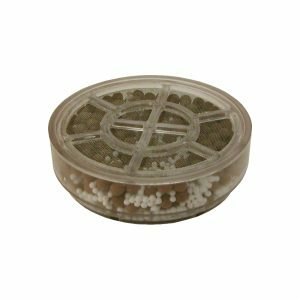 Here’s a versatile shower filter with outstanding structural integrity and reliability in a one year filter. 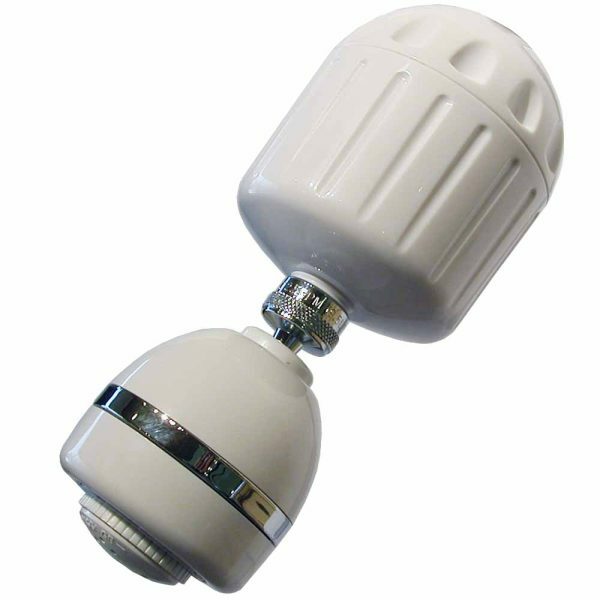 Easy operation and maintenance, combined with long-life performance make this high output shower filter an outstanding value. Chlorine is universally used to chemically disinfect water. It kills germs, bacteria and other microorganisms. Chlorine readily passes through cell walls, and attaches to fatty acids in the cell, disrupting life-sustaining functions. The human body is composed of billions of similar cells, which also absorb chlorine. 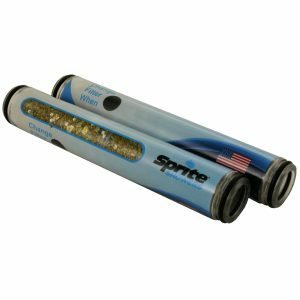 It may be necessary to disinfect our tap water with chlorine, but with today’s technology, we do not have to be exposed to it. The quality of our drinking water can be improved, by filtering chlorine from the tap water or drinking bottled water. However, only part of the problem has been addressed. One half of our daily chlorine exposure is from showering. Not only is chlorine absorbed through the skin, but also vaporizes in the shower, inhaled into the lungs and transferred directly into the blood system. 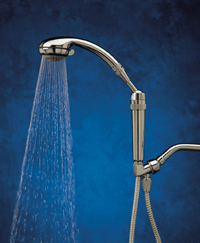 In fact, chlorine exposure from one shower is equal to an entire day’s amount of drinking the same water. Therefore, drinking filtered or bottle water addresses only half the problem. 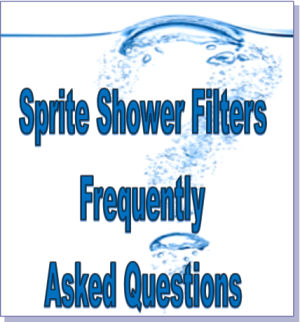 Sprite Shower Filters offer the answer for the complete solution. High Output Cartridge removed 75% of chlorine at 10,000 gallons.